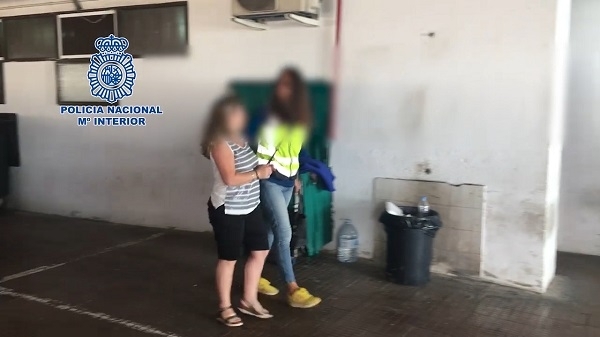 After a two-month investigation, the National Police have arrested a 43-year-old Spaniard with a previous criminal record and a 50-year-old woman from Ireland, as alleged murderers of a homeless person in Gran Canaria. The victim was a Romanian man who was in a wheelchair due to the fact that both of his legs had been amputated. Many people in San Bartolomé de Tirajana knew the man because of this conspicuous fact. On January 11, he was found dead in his nighttime home, an abandoned premises. The man was first strangled and then the body was burned with accelerant. The investigative work finally led to the couple being arrested as suspects. During the search of their house, clothing was seized which they had presumably worn on the night of the crime.